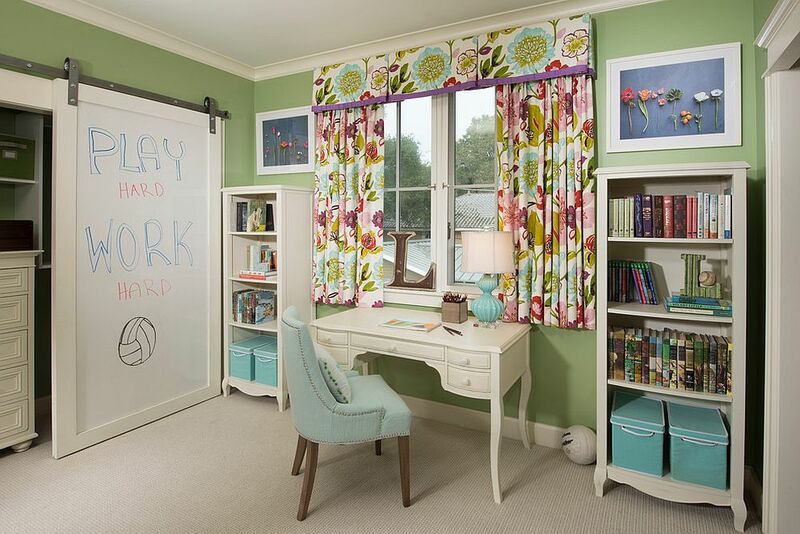 We are constantly on the hunt for new ways that you can give the smart kids’ room a unique and creative twist that takes it away from the mundane. 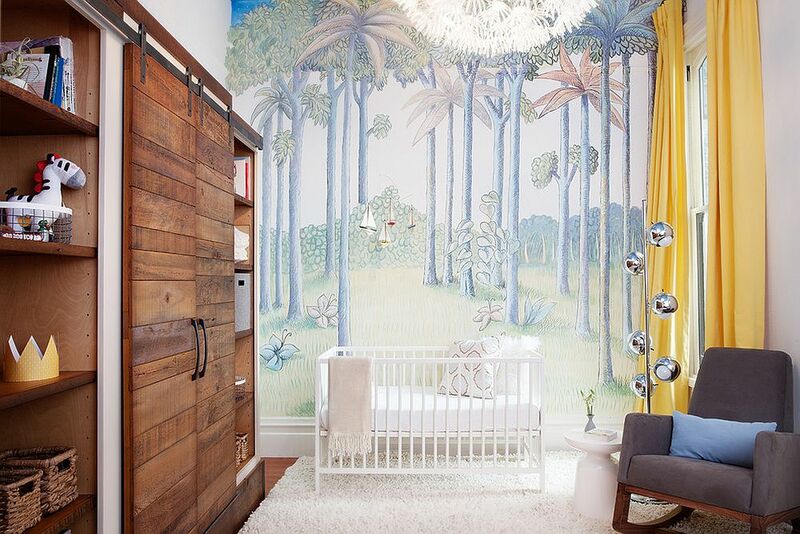 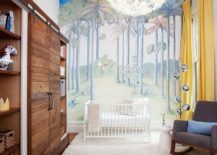 Of course, adding something exceptional to the kids’ bedroom or playroom often involves a splash of bold color, plenty of pattern and maybe a custom wall mural or two. 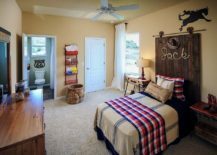 But within no time your little ones grow out of this ‘phase’ and you are stuck with a room that needs a complete overhaul. 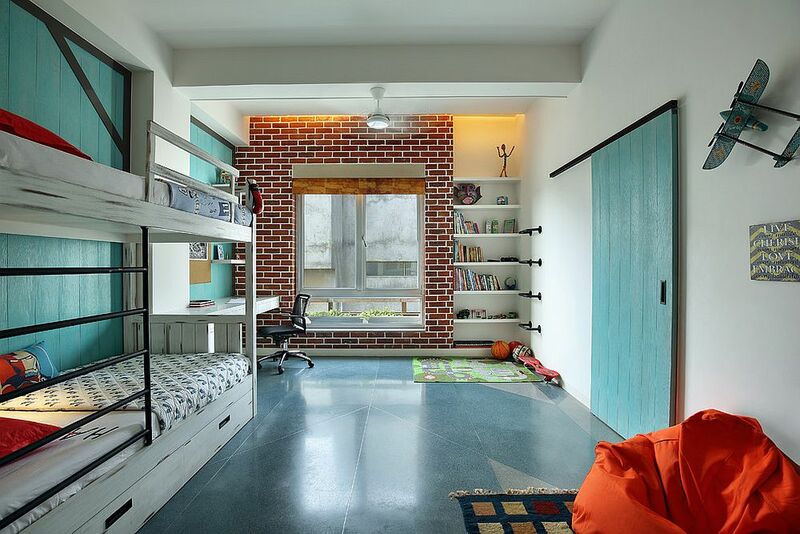 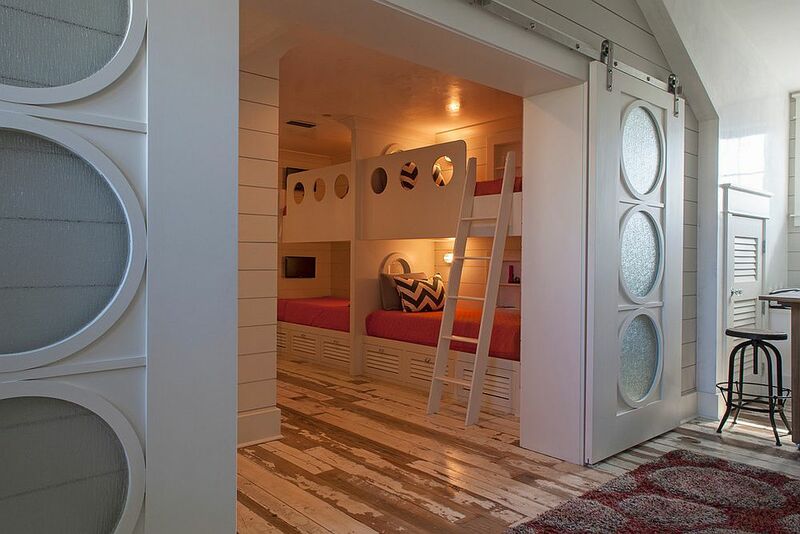 So, why not consider designing a kids’ bedroom that grows along with them, with elements that look equally at home in teen and adult spaces? 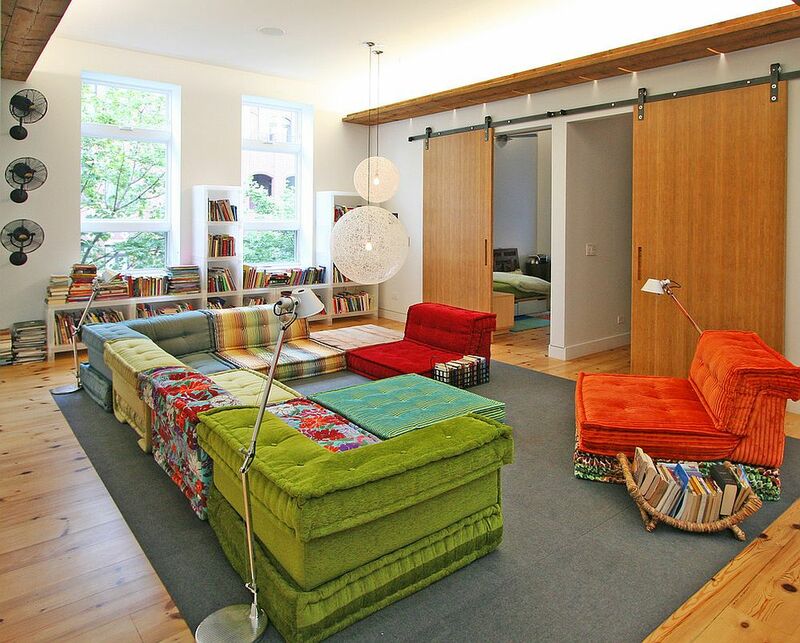 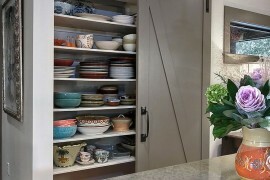 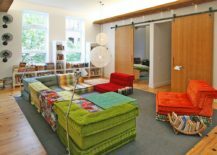 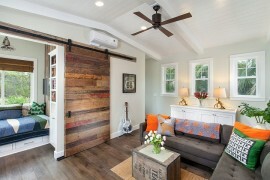 If there is one style that seems to accommodate the sliding barn-style door with ease, it is the cheerful beach style. 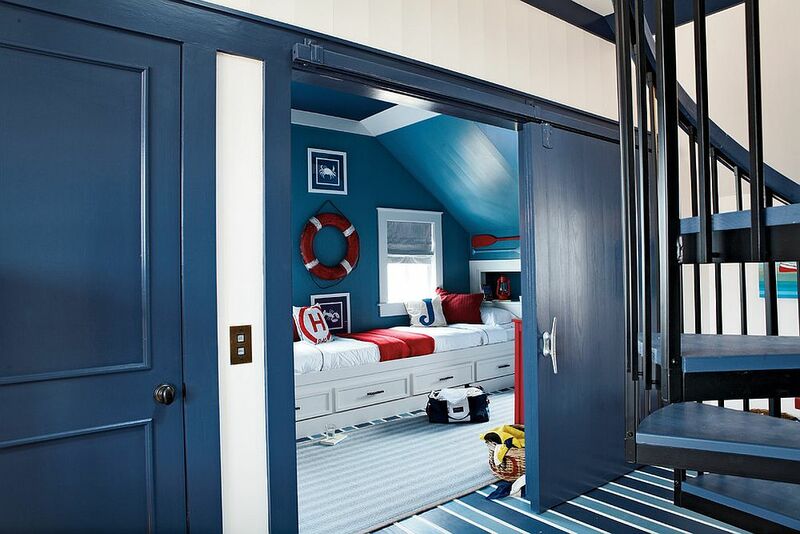 A smart beach-style kids’ room with its coastal motifs, unassuming elegance and casual vibe is a perfect place to rehabilitate that old barn door. 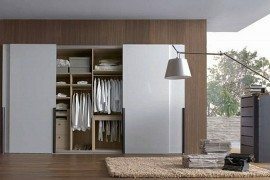 Instead of leaving the heavy wooden door as it is, cover it up with white paint so that it blends in with the rest of the room. 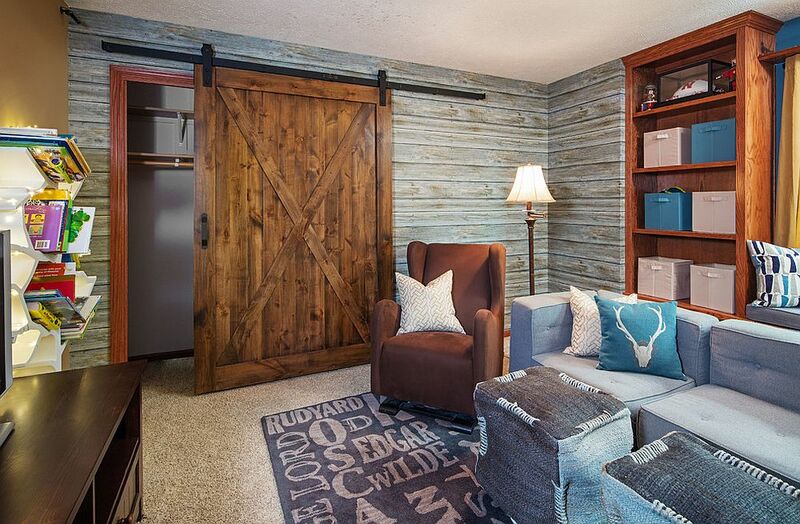 A whitewashed barn door adds a shabby chic vibe to this setting, and it acts as the perfect bridge between the rustic cabin style and modern coastal theme. 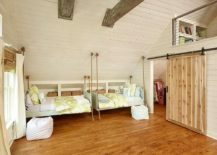 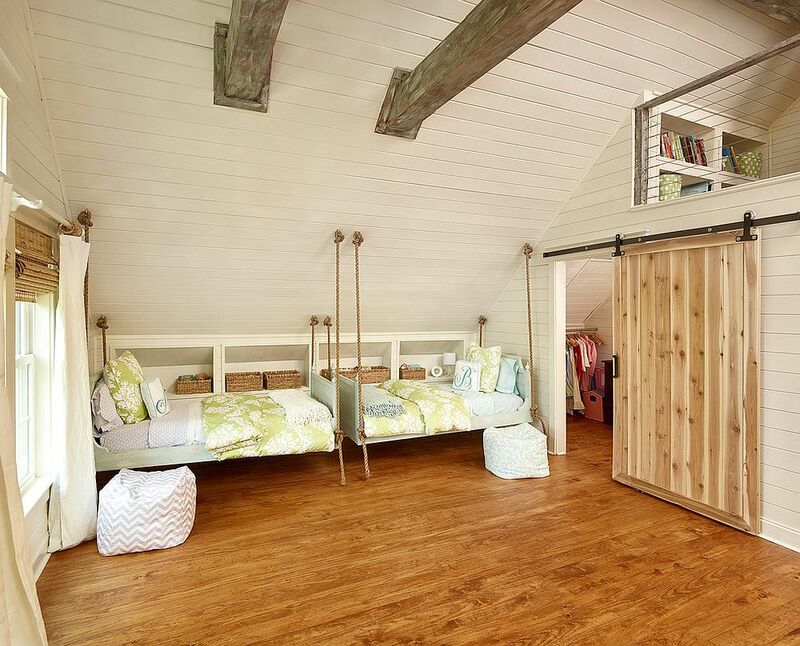 There are plenty of ways that the classic barn door can be reinterpreted and reinvented to fit in with the ambiance of a contemporary kids’ room. 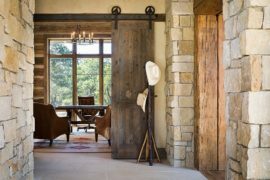 If you feel that a heavy, traditional barn door is a bit too much, then consider lighter, modern counterparts crafted from translucent glass or those with a lighter wooden frame. 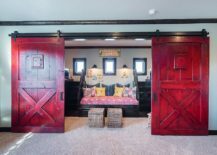 The barn-style door can be used in the contemporary playroom or even the kids’ study in ways that go beyond the obvious, as it can be turned into a custom window that brings in ample natural light. 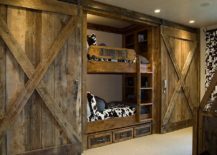 Then there are occasions when it becomes a strictly aesthetic addition as it sits proudly behind the bed to shape a striking headboard wall! 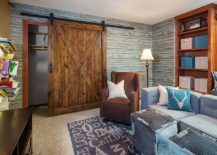 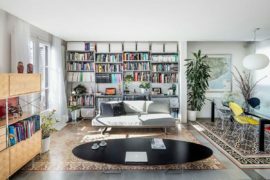 When it comes to bedrooms with barn doors or even living spaces, color often takes a back seat, with gray and black providing the most popular alternatives to the untouched ‘woodsy’ look. 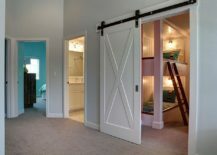 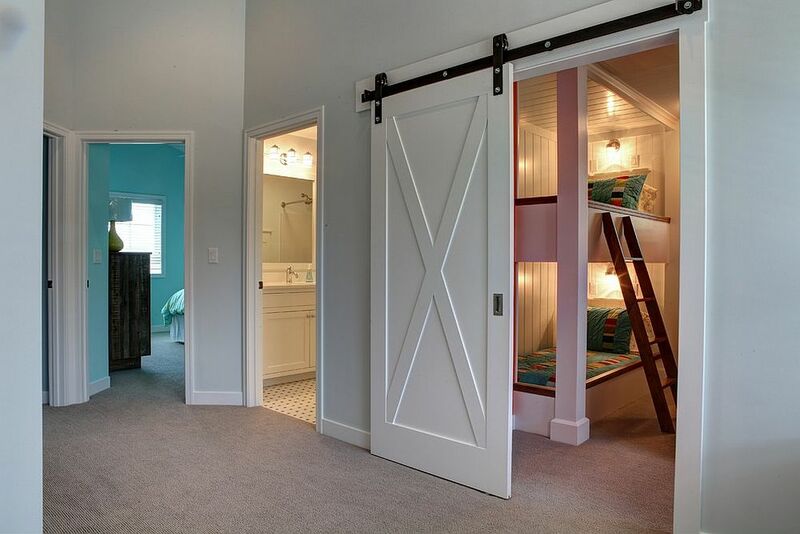 But the bedroom of your little one demands a lot more color, and the versatile barn door can adapt to this as well. 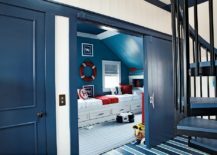 For children’s bedrooms with nautical style a sliding door drenched in navy blue is a fine choice, while contemporary and rustic spaces can embrace colors ranging from red and yellow to mellow pastel hues. Leave a Message on the Door! 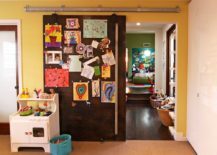 Chalkboard paint can instantly turn any boring surface in your home into a message board that brings out the latent creativity in every member of the family. 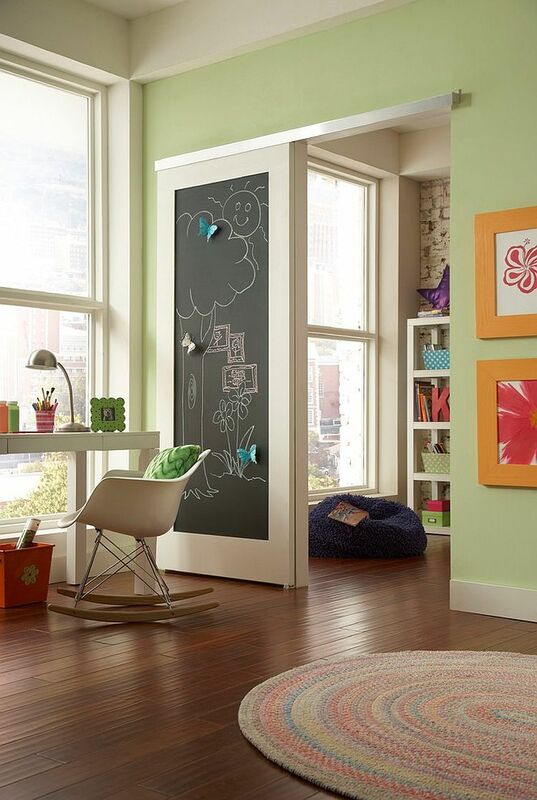 Whether it is quirky messages and fun drawings that your little darling wants to try out or important notes and weekly schedules chalked out to keep everyone up to date, a chalkboard paint-covered barn door can do it all. 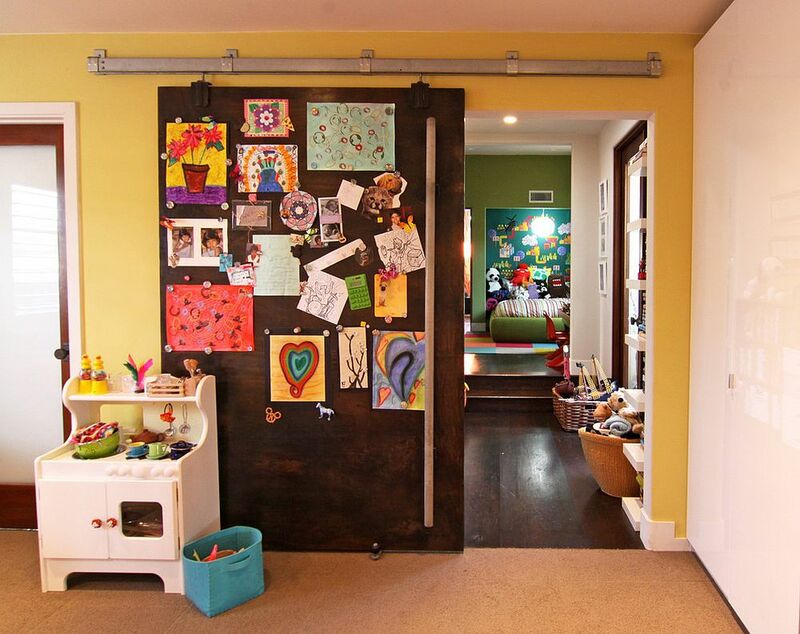 If chalkboard paint is not your thing, then go a step further with a magnetic sliding door! 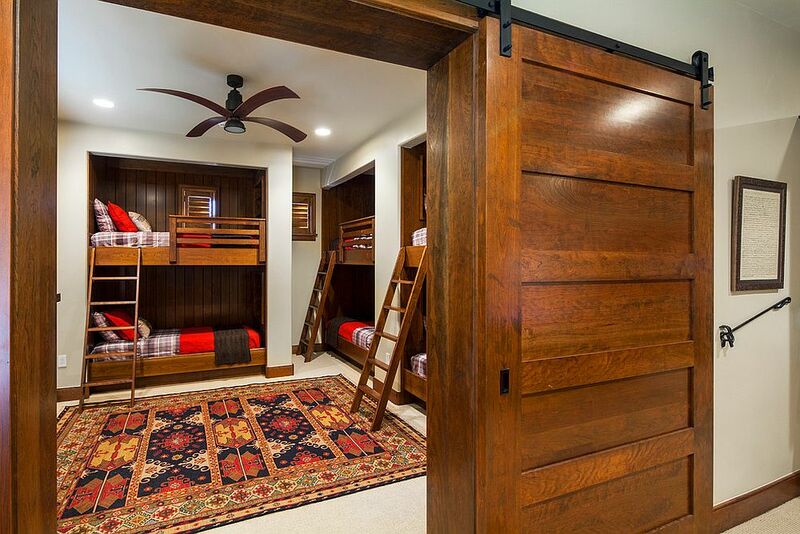 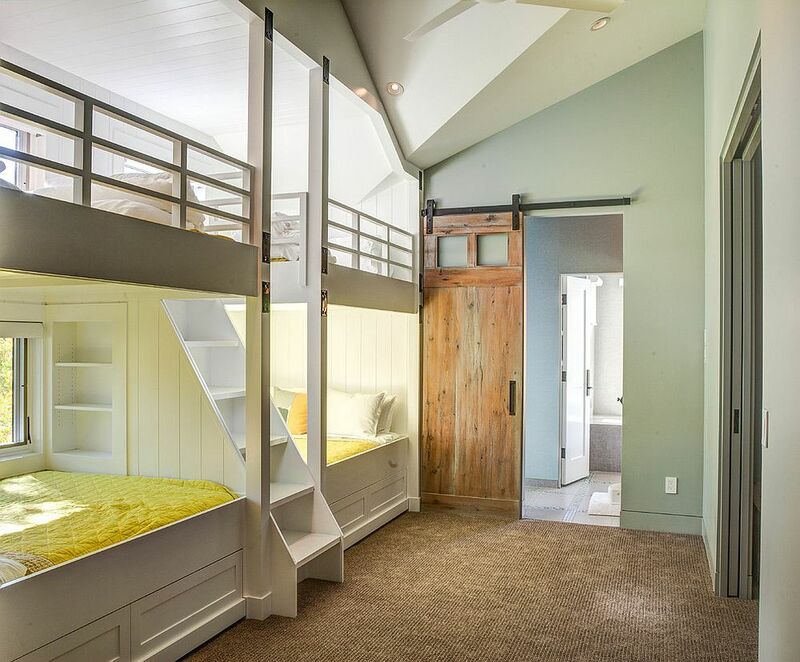 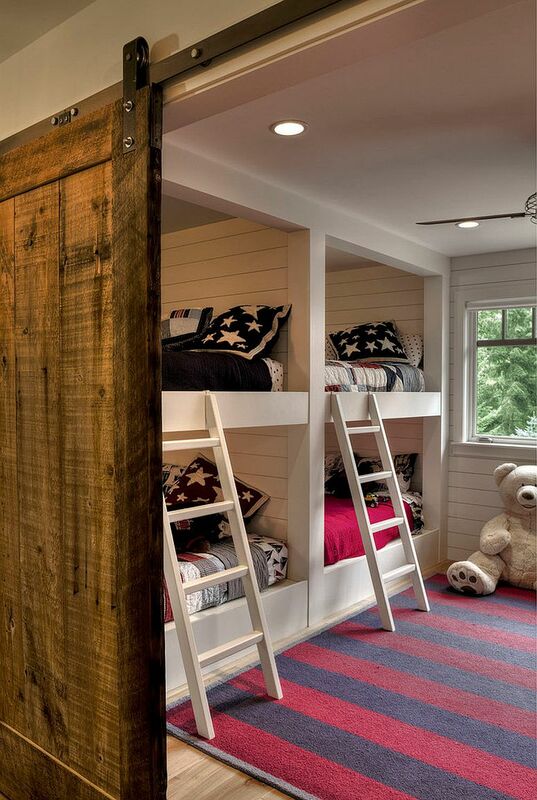 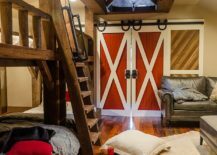 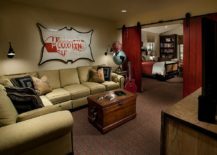 Are you trying to recapture the unique appeal of the mountain cabin and its beautiful kids’ room filled with bunk beds at home? 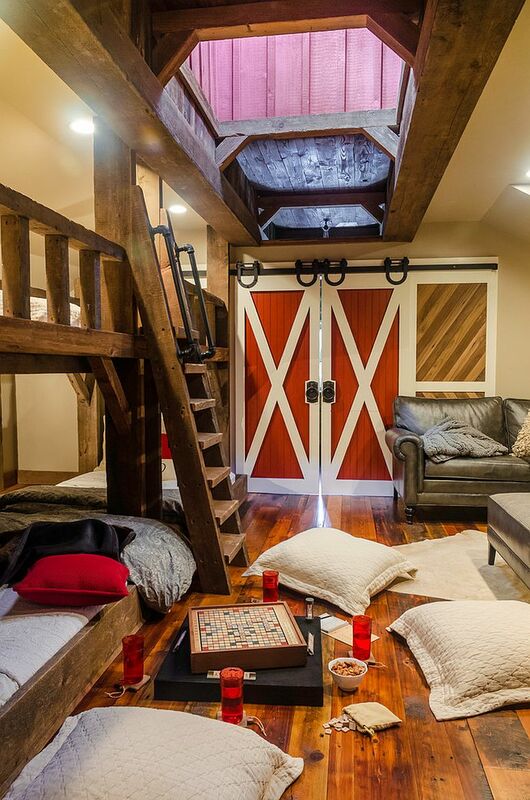 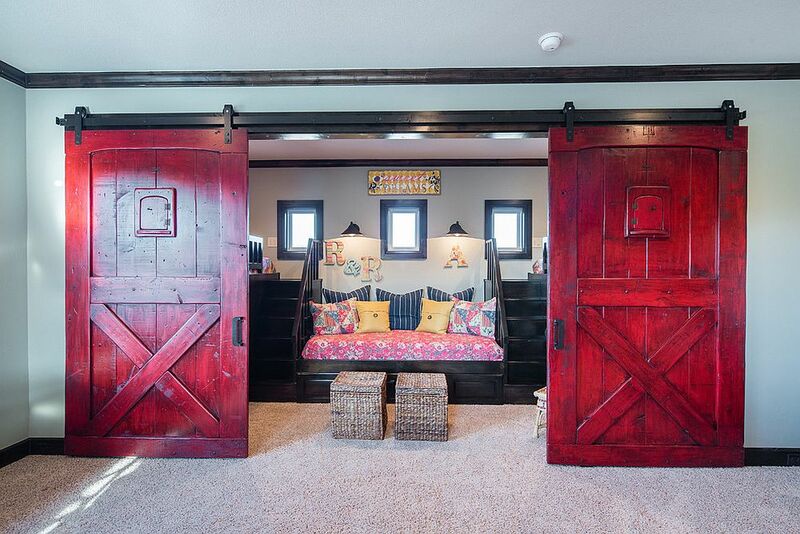 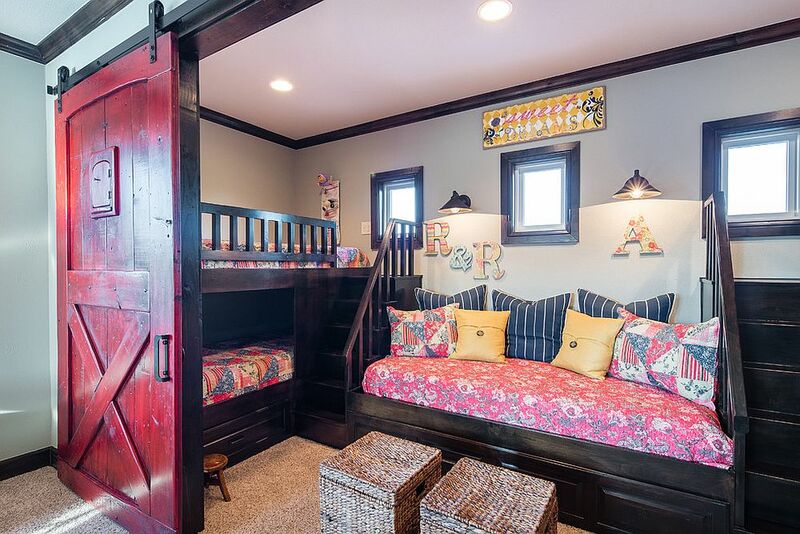 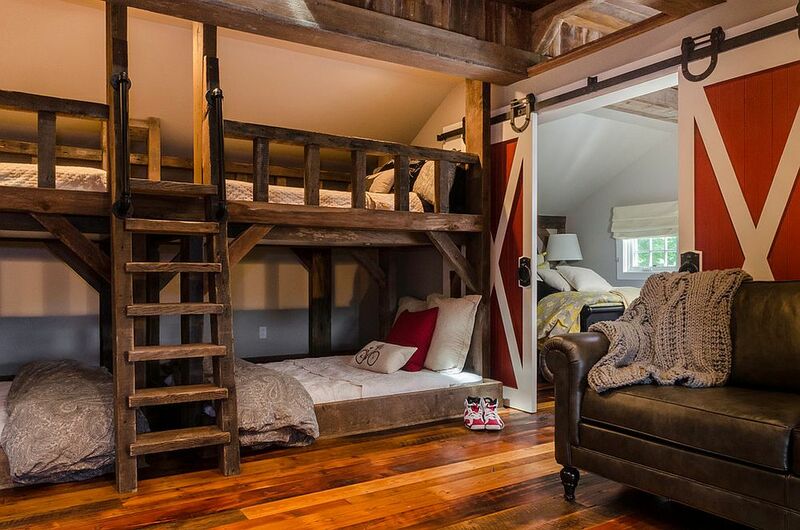 Maybe the large sliding barn door is the missing piece of puzzle that finally completes this cozy and fun bedroom. 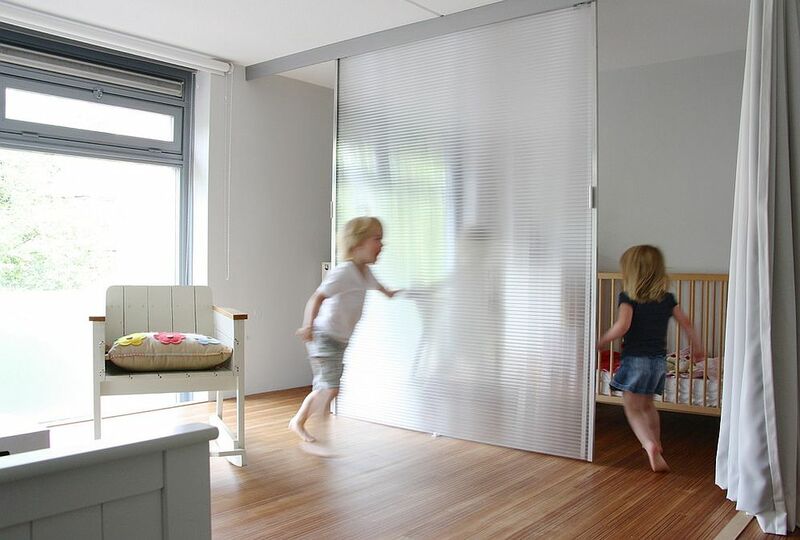 The sliding door allows you to have a wall of beds right next to the entry, as it needs absolutely no space to ‘swing out’, and often it can be used to hide both the bathroom and the large open shelves in the kids’ room!